If you’re deep in the trenches of holiday shopping and starting to question the whole concept of Secret Santa, just stop what you’re doing and buy some Beau’s Lug-Tread! 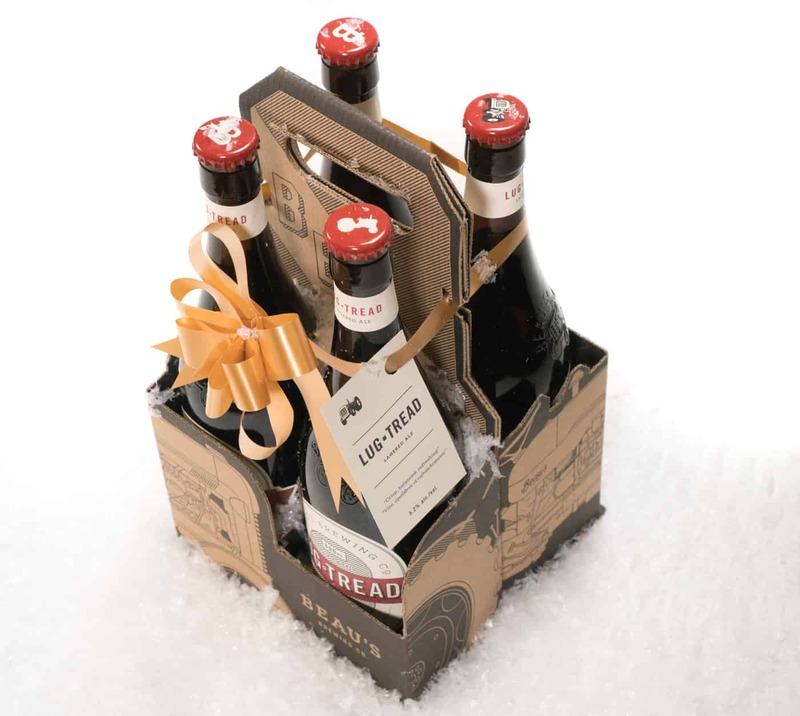 The 4-pack of this certified organic lager is portable, potable and even comes with a bow – so no wrapping required! As Beau’s nod to the Kölsch beers of Cologne, this hybrid-style beer pairs the best from both worlds: it’s got light ale notes AND a lager-like crispness. Think freshly cut hay, a touch of apple, and balanced hop bitterness with a clean, dry finish. It goes great with everything from office party potlucks to turkey dinners. It’s right up the alley of anyone just starting to get into craft beer, and perfect for any occasion. Bring a 4-pack over for game night, use it in a beer cocktail (Lug Radler or Lug-Rita) for a holiday brunch, or bring Beau’s (instead of a bottle wine) for a holiday hostess gift. Bonus: With more than 20 awards for brewing excellence, it’s a guaranteed crowd-pleaser for Secret Santa!